To stand out in the frozen food aisle, Tai Pei can embrace a change in the way young people eat. Tai Pei Frozen Asian Food wants to expand its market to young millennials (ages 18-24). These millennials are rejecting traditional eating in favor of smaller snack-like meals throughout the day. Tai Pei has an opportunity to be the first frozen food brand to own this cultural shift. 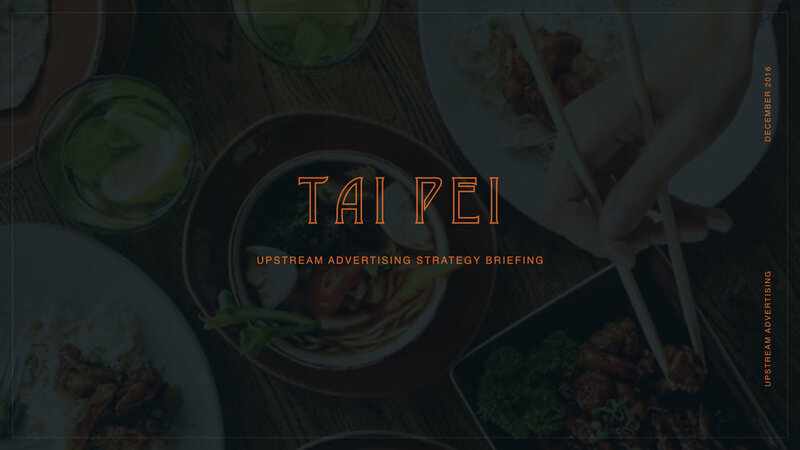 With a tone and concept that are relevant to young millennials, Tai Pei can capture this audience's attention, trust and buying power. 2017 National Student Advertising Competition. Strategy Team, overseeing secondary research and Simmons OneView analysis. To see the complete plans book, click here. Strategy: Emma Pindell, Benson Wink, Ben Neal, Colleen Cass, and Rachel Benner. Media: James McAndrew, Cailin Wolf, Emma Hyman, Emily Sarale, Hailey Geller, and Ashley Graves. Creative: Emily LeClerc, Tucker Stosic, Kevin Camacho, Devyn Holbrook, Kyra Bailey, Key Higdon, Talia Bootz, Mac Mullen, Jasmine Tran, and Tim Farah.